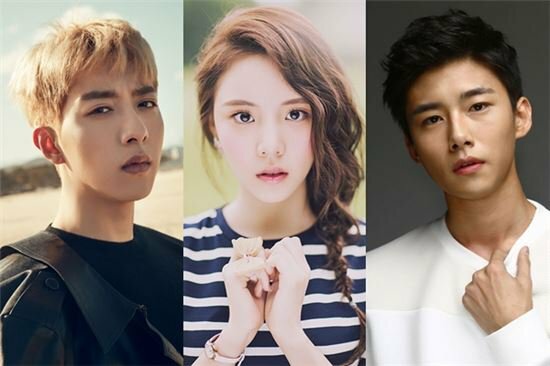 Lee Jung-shin, Lee Yeol-eum and Seo Ji-hoon to star in "Longing Heart"
Lee Jung-shin, Lee Yeol-eum and Seo Ji-hoon are starring in the new SBS Plus drama "Longing Heart". A man who can't get over his first love for ten years, time-slips back to the past and battles fate. Lee Jung-shin takes on the role of a pretty boy math teacher named Kang Sin-woo. He returns to the past and meets his 10 years younger self. He struggles to make young Kang Sin-woo and his crush Han Ji-soo come true. Lee Yeol-eum takes on the role of Han Ji-soo. She is Kang Sin-woo's first love and is the reason for conflict. She looks perfect but she suffered pain when she was young and hides it behind her boldness. Seo Ji-hoon plays Kang Sin-woo from 10 years ago. He is the past of Kang Sin-woo and the reason why the relationship turns haywire. "Longing Heart" is based on a web-toon about a man who battles himself for his crush. Meanwhile, "Longing Heart" can be seen in November on SBS Plus. "Lee Jung-shin, Lee Yeol-eum and Seo Ji-hoon to star in "Longing Heart""
Steven Yeun and Yoo Ah-in to star in Lee Chang-dong's "Burning"
"Okja" Choi Wooshik to lead in Park Hoon-jung's "The Witch : Part 1. The Subversion"
Lee Seung-gi's "A Korean Odyssey", what's it about?